The Rev. Kaji Spellman Douša is Senior Pastor of the Park. In the congregation’s 206 years, she is the first woman called to this role. A graduate of the University of Pennsylvania and of Yale University, Pastor Kaji is a prolific writer and a celebrated and awarded public speaker. She preaches nearly every Sunday at The Park and is invited as a keynote speaker across the country. Her often fiery media appearances reflect her deep thinking, faithful perspective and quick wit. She is on the editorial board for the United Church of Christ’s Stillspeaking Writer’s Group and the Alumni Board of Yale Divinity School. The Rev. Stephanie Kendell is Executive Minister at The Park. She is a recent Master of Divinity graduate from Brite Divinity School, where she served as the 2016-2017 Student Moderator. 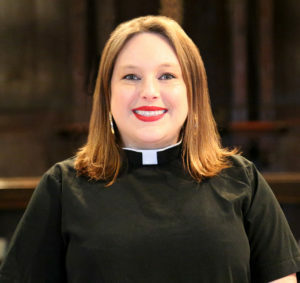 Ordained in the Christian Church (Disciples of Christ), Stephanie is passionate about justice seeking ministries that aid in the value of intersectional perspectives. Stephanie is a native of the San Francisco Bay Area where she continues to be an avid supporter the local sports teams. In 2005, she graduated with a degree in Musical Theater and Theater Arts from the University of Redlands. 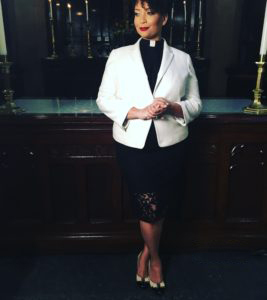 Before her call to Ordained ministry, Stephanie was a Producer and Head of Operations for an international theatrical marketing agency based in Los Angeles.